Here is another movie to see. 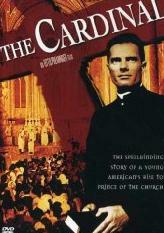 The Cardinal (1963) follows the journey of a young man (Tom Tryon) who becomes a priest, doubts his calling and takes a leave of absence, falls in love, comes back to the priesthood, fights injustice in the segregated South, defends freedom in Nazi Europe, and eventually becomes a Cardinal. This is a powerful movie about the priesthood, the Catholic Church and the importance of living out what God has made you for. Every family should watch this movie together. Get it from Amazon.com here or rent from Netflix here. If you haven't seen this movie yet, you should. 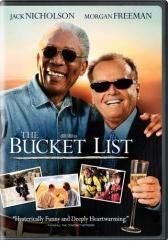 I first saw THE BUCKET LIST on a plane back from speaking on St. Paul in Texas . I like Jack Nicholson and Morgan Freeman so I had better than average expectations. It turned out being one of my Top Ten movies. You can buy it from Amazon.com here or rent it at Netflix here. Two guys get stuck in a hospital room together and find out they have about 6 months left to live. One is a believer, the other a selfish hedonist. The story plays out with humor, fun, a bit of theology and philosophy along with a little crude language. The message shouts to our selfish existentialist society that there is something more than money and pleasure — and you don't have much time to discover it.